Some of my fondest memories of my childhood back home in Toronto, Canada, were surrounded by food. From as early on as I can remember, my parents were into health and nutrition. My mother, who cooked dinner most nights during the week, would always start with a serving of fruit – a slice of papaya with lime, a half of a grapefruit, or a bowl of berries. We would then have a salad, followed by a main course of a lean protein (a must, as my father is a workout buff! ), a side starch, and always one or two non-starchy vegetables. A small serving of dessert was also always offered. Dinners were so balanced, and something I looked forward to eating every night. "My mother, who cooked dinner most nights during the week, would always start with a serving of fruit – a slice of papaya with lime, a half of a grapefruit, or a bowl of berries." I grew up in a household where baby kiwi berries and farro grains were the norm. Where fiddleheads were something we looked forward to every spring and porcini mushrooms were a delicious treat. When we went out to our favorite Italian lunch spot every Saturday, I clearly remember enjoying ordering one of my favorite desserts - the persimmons. And when I went grocery shopping with my mother (to my delight! ), we would always pick up new and exotic finds like litchis and fresh marbled bread. "I grew up in a household where baby kiwi berries and farro grains were the norm." When I moved to New York, got married, and had my two girls, I knew I wanted to instill those same balanced eating habits that my parents gave me in my youth and help lay the foundation for a healthy relationship with food. It is never too early to start educating them about making healthy food choices and the importance of variety. 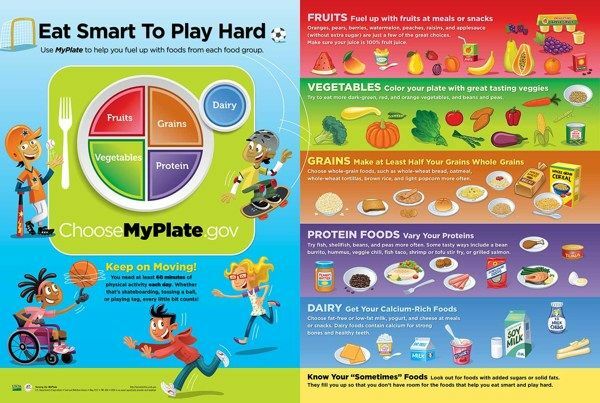 Here is an inside look into some of the ways my two young daughters are learning about health and nutrition. It is also crucial to avoid the words ‘good’ and ‘bad’ when talking about food. Instead, give your kids an idea of what everyday foods, sometimes foods, and once in a blue moon foods are, and give them examples from each food group. Over the years I have casually mentioned that a lot of the produce I buy is ‘organic.’ This has led my girls to ask me what the term means, and why I reach for certain organic produce (the Dirty Dozen). Simply asking your kids what foods they like and why is a great jumping point into a general conversation about nutrition. Sit down and start having discussions with your children about where their food comes from. Use simple language. Don’t overcomplicate things. Giving your kids the basics is a great way to introduce new nutrition topics while still keeping them engaged. It also allows for more engagement on their end – if they are truly interested in the topic, they will ask questions! Talk about different foods for the four seasons. Discuss what foods are freshest in winter, spring, summer, and fall. Have the kids make pictures for each. Buy starter seeds of some of your favorite vegetables and try and grow some at home. Letting kids see the process of growing their own food can help make them appreciate where their food comes from. Go to a local orchard and pick fresh seasonal food right from its source. Our family loves going apple picking, and it is a great way to get the kids talking about where their food comes from. "Simply asking your kids what foods they like and why is a great jumping point into a general conversation about nutrition." Going grocery shopping is still my favorite one-on-one time with my girls. It’s a great learning opportunity for the girls to see the variety of foods out there, and hopefully get a chance to sample some exciting new food products. Try to go to different stores to make it more interesting, and make an effort to go to your local farmers market to buy and support local farmers. "Going grocery shopping is still my favorite one-on-one time with my girls." Whenever I let my kids help me out during mealtime, they are much more likely to try what’s on their plate. Getting kids involved in the kitchen helps not only with their desire for independence and accomplishment, but it also makes them more interested in what they are eating. Have your kids design their own basic aprons that they can wear every time they cook. This will make cooking more fun! To keep things safe for younger kids, have them prep things that don’t involve knives or fire. I have my kids beat eggs in a bowl before I scramble them, wash and tear up mint and other herbs for salads, and let them sprinkle spices onto our protein and vegetables before cooking them. Designate your kids to be the official taste testers before serving. They will be much more likely to try something this way! Be creative with the design of your dishes. Make your plates look beautiful and add some pizzazz by making your food look like something. For Halloween last year, we made edible ghosts using bananas dipped in yogurt, with chocolate chips for eyes and mouths (see above). Try to adopt the rule that they have to try something at least once before they say they don’t like it, and make an effort to have them taste a new food every week. At the end of the day, I try to subtly teach my children about their health and the foods they eat. I expose them to a variety of environments to help them explore all the food choices around them. I consciously try to be a good role model, leading by example. And most of all, I really make an effort to eat meals with my kids. Let’s hope all of the hard work makes my children healthy, and hopefully adventuresome, kids! Dara Godfrey, MS, RD, is a registered dietitian who works in private practice in Manhattan. As an expert in nutrition, she customizes eating plans to help empower her patients to make positive food choices. Dara’s lifestyle-driven approach has encouraged individuals to understand what is realistic and has provided them with a flexible set of tools to achieve sustainable goals of health and happiness. Dara is also the dietitian at Reproductive Medicine Associates (RMA) of New York, a fertility clinic, where she supports patients’ nutritional goals at every stage of infertility treatment and pregnancy, including pre-treatment health and weight loss, prenatal nutrition, and pregnancy nutrition during each trimester. Dara, a Toronto, Canada native, graduated with a Bachelor of Science in Food & Nutrition at The University of Western Ontario and obtained her RD and Masters in Nutrition at New York University. Dara spent several years at Mount Sinai Hospital in Manhattan where she led a Weight Management Support Group, and was involved in counseling patients in such specialties as prenatal, bariatric, and gastrointestinal nutrition. Dara is not only a blog contributor for Body By Simone and RMA of New York, but has also been featured in videos on such sites as Fertility Authority and CafeMom. She has also contributed to articles in The Daily News, Self magazine, Cosmopolitan magazine, HERS magazine, and blogs such as Fitness NYC and The Sweat Life. When not working, she can be seen working out at Modelfit and SLT, as well as trying the newest restaurants around New York. She lives in Manhattan with her husband, Jay, and two daughters, Allegra & Bardot. Find Dara at Twitter @DaraGodfrey, Instagram @DaraGodfrey, and her site www.daragodfreynutrition.com.